'Hamilton' has always paved the way for diversity. 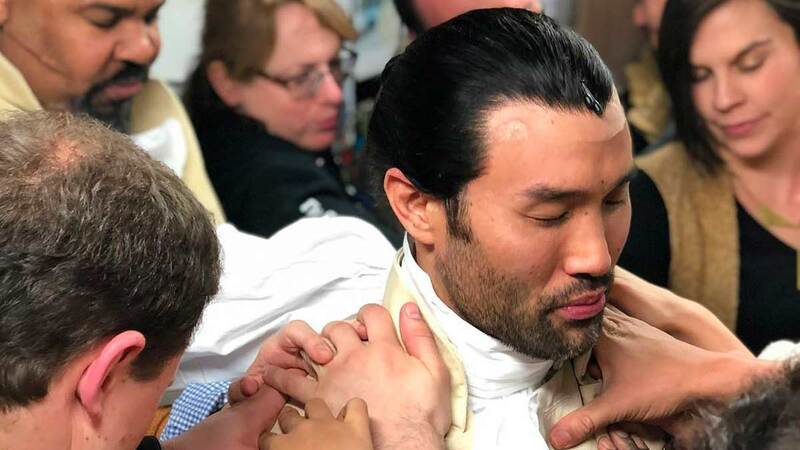 On January 19, 2019, Marc de la Cruz played Alexander Hamilton on Broadway, becoming the first Filipino and Asian-American to play the titular character. The Hawaii born, New York-based Filipino-Japanese actor and singer officially made his debut back in December 2. "I am FILLED WITH GRATITUDE for the creators and originators of Hamilton. It's an honor to help share this astoundingly crafted and important piece of theater," he wrote on Instagram. Marc was an understudy for the hit musical. Since August 2015, he has played several characters as replacement including King George, John Laurens, Philip Hamilton, James Reynolds, and Philip Schuyler, to name a few. In 2014, de la Cruz had his Broadway debut in If/Then as Swing alongside Idina Menzel and Anthony Rapp. The musical tells the story of a divorcee urban planner named Elizabeth who moves to New York City for a chance at a new life. His other credits include Allegiance, Prison Dancer, High School Musical, Where Elephants Weep, and The Wedding Banquet. In a Facebook post, actress Olivia Oguma praised de la Cruz. "Tonight...we had the first Asian-American Alexander Hamilton in Hamilton on Broadway. Just wanted to let everyone know. Marc de la Cruz I have never been more proud of anyone. I'm so happy for you," she said. She continued, "Marc is not my friend—he is my brother, and someone we consider a family member. I am so thrilled to have had him in my life for 11 years. His best performance to date will always be singing "We Kiss in the Shadow" with me in our recording studio/bathroom in our hotel room in Minneapolis on the High School Musical tour, but his performance as Hamilton is a close second." According to the Broadway Diversity Project, while de la Cruz is the first Asian-American man to play Hamilton on Broadway, "Jin Ha has played Hamilton in the Chicago production, and Joseph Morales currently playing Hamilton on tour, is of mixed race and of partial Japanese descent."